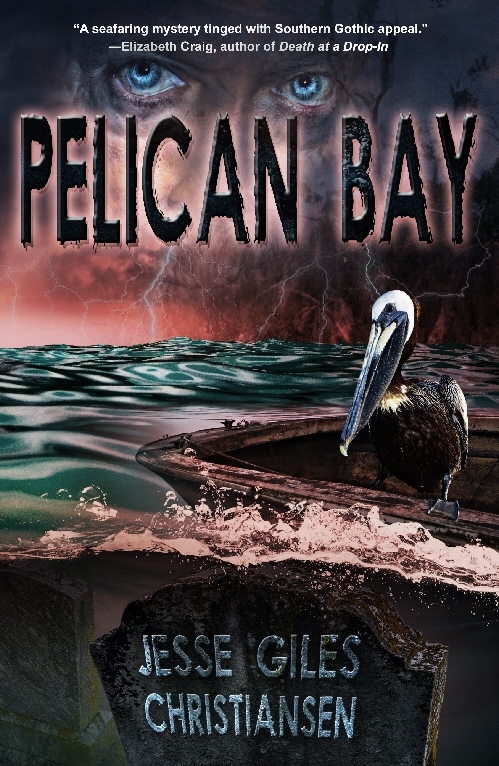 Part suspense novel, part literary mystery, Pelican Bay is an original story set in a small, forlorn beach town in South Carolina. The tale begins with our young protagonist, Ethan Hodges, discovering a sunken cemetery just off the beach that could very well be four centuries old. Compelled to find answers, he begins to ask questions to an old, quirky fisherman named Captain Shelby, a man thought crazy by the town. However, it soon becomes clear that the old grandfatherly figure wants the past to remain buried, and he doesn’t waste time in making that clear to Ethan. Then, Captain Shelby is suspected of murder and disappears, and it isn’t long before unsettling discoveries are made, discoveries that shock Pelican Bay. The South Carolina coast comes to life in this well-written, well-crafted story by Jesse Giles Christiansen. I was engrossed from the start by the sense of mystery, as well as by the magical, eerie sound of the sea. Ethan and Morgan are sympathetic characters and I loved the eccentric wisdom and quirkiness of Captain Shelby. The author did an excellent job with the old fisherman’s mannerisms and use of dialect. The tone and atmosphere gave me a haunting feeling about old secrets better left untouched. If you’re looking for a different mystery, give this one a try. Recommended. Read my interview with the author. My review was originally published in Blogcritics. This review was provided in exchange for a review copy provided by the author.